12-volt VW Type I, II engines with 1968-on Bosch Distributors, including 0 231 170 034, 0 231 178 009, 9 230 081 050, 9 230 081 094, etc. 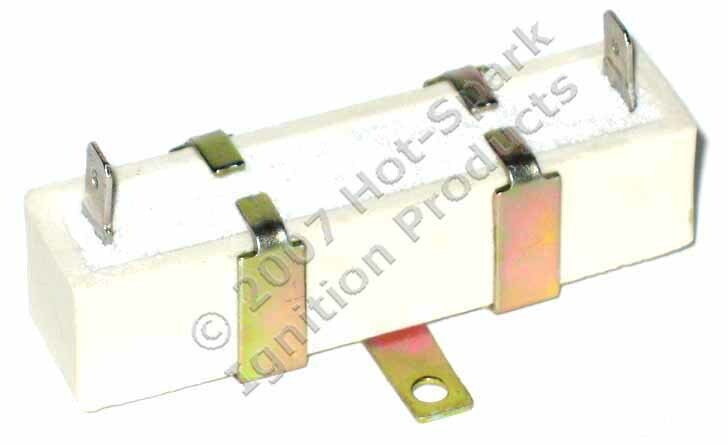 This ignition kit requires a 12-volt, negative ground electrical system. Coil: Beru Germany Blue Coil with 3.3 Ohms Primary Resistance included. 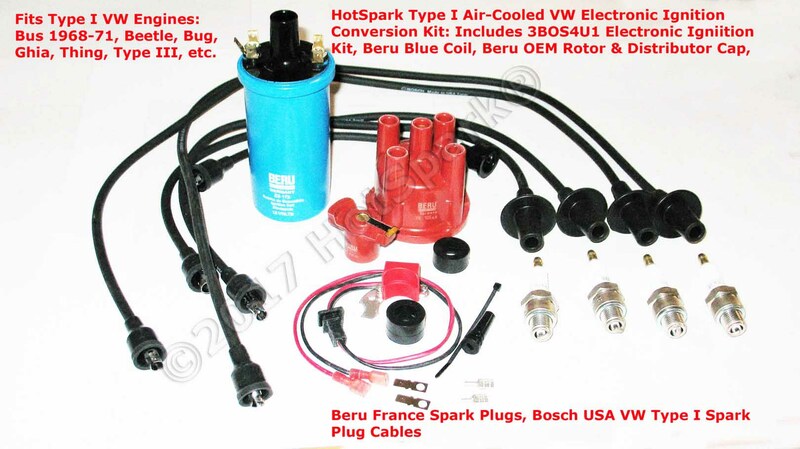 Click here to see 3BOS4U1 ignition conversion kit installation instructions. for 1968-on 4-cylinder, air-cooled Type I VW Engines with 12-volt, negative ground electrical system. Also fits 034, 009, 050 and similar distributors that have 1-piece, right-pivoting points. 1968-1975 4-cylinder, air-cooled VW Types I and II engines. Price includes shipping to the USA. For 1968-on air-cooled VW Types I and II engines. Also fits 034, 009, 050 and similar distributors that have 1-piece, right-pivoting points. Ready to install. Includes ignition kit, cap, rotor, coil and everything you need - no external ignition box required. Click here to view 3BOS4U1 Combo Kit Installation Instructions.